So, your child has decided they want to start classes at Midwest. That’s great! 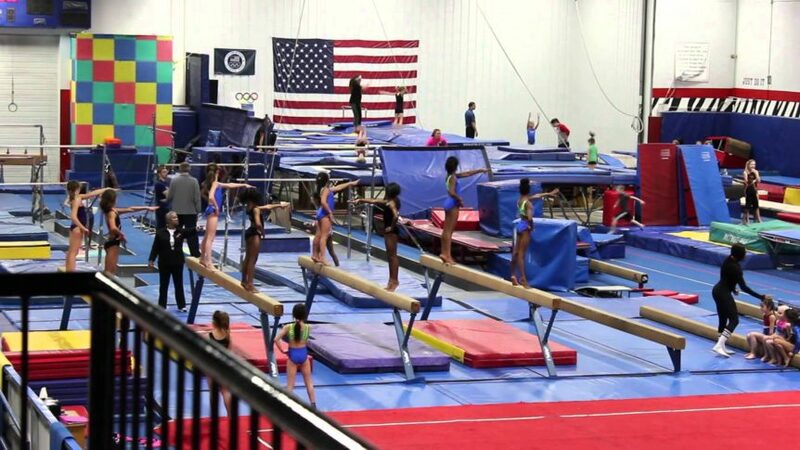 Midwest offers classes in Artistic Gymnastics, Trampoline & Tumbling, Recreational Tumbling, Cheer, Parkour and Dance. So now you’re trying to pick a class, but you aren’t sure exactly which one will be the right fit. We’ve got you covered! Read on for tips and tricks for deciding which program will be the best fit for your child. Ask what types of things they want to do in class – Do they want to flip? Do they want to swing on the bars? Do they want to bounce on the trampoline? Or maybe they want to dance or learn to move through an obstacle course. Once you have an idea of what types of activities they are looking forward to, you will have a better idea of which class will be the best fit. Ask what their goal is – Does your child want to compete at the Olympics like Simone Biles? Then she’ll want Artistic Gymnastics. Or is he interested in becoming the next American Ninja Warrior? Great – try our Parkour & Free Running program. Or maybe she wants to make the school cheer team? Recreational Tumbling is the program for you! Whatever your child’s long-term goal, starting to work towards it now will pay off down the road, and help steer you towards a class for now! Try it out! – Midwest offers one free trial class for all new students. This means you can try a class first to make sure it is the right fit. We always recommend trying the class you think will work best for you. If it doesn’t work out, let us know! Maybe a different program will be a better fit. Midwest also allows students to transfer at any time. So if your child starts out in something like tumbling, but decides later she really wants to learn the bars, we can always make that switch further down the road. Still not sure? Our expert office staff can also help guide you towards your child’s dream class. We know that each of our classes is a little different – but all of them are designed for our students to learn and have fun. With that in mind, you can’t go wrong! To schedule your free trial or to speak with our staff about finding the right class, call us at (219) 558-8811 for Dyer or (219) 662-8844 for Crown Point. We look forward to hearing from you! Like the traditional gymnastics you see on TV and at the Olympics, girls who participate in Artistic Gymnastics practice swinging on the bars, walking and doing skills on the balance beams, tumbling (rolls, cartwheels, walkovers, handsprings, etc.) on the floor and running/jumping on the vault. Students in Artistic Gymnastics classes sometimes practice on trampoline, but do not spend much of their time there. Midwest offers recreational classes, as well as a competitive Artistic Gymnastics team for Levels 2-10. This isn’t your backyard trampoline! Trampoline classes at Midwest focus on the technique for learning skills on trampoline, double-mini trampoline and long tumble track trampolines. They also work tumbling on the floor (rolls, cartwheels, walkovers, handsprings, etc.) However, unlike in Artistic Gymnastics, students will not do the bars or the balance beam. Midwest also offers recreational and competitive options in Trampoline & Tumbling as the program is recognized as one of the best in the nation! In recreational tumbling classes at Midwest, your athlete will focus exclusively on building their tumbling skills on the floor, with the occasional assistance of the trampoline, rod floor or long tumble track trampoline. These classes are perfectly designed for athletes who only want to tumble – and cheerleaders! Tumbling classes at Midwest are designed for beginner athletes just learning to roll through more advanced athletes working twisting and double flipping skills. Tumbling classes aren’t just for recreational students either – Midwest offers a competitive Cheer Team for those looking to take the next step! A new sport that blends obstacle course training with acrobatic movements, Parkour & Free Running emphasize moving through a space in the fewest moves possible with as much creativity possible. In this class students work running, jumping and hurdling techniques to learn to overcome physical obstacles. More advanced levels also work flipping skills. This class is especially popular with male athletes! Dance at Midwest offers competitive and recreational options in Tap, Ballet, Jazz, Lyrical and Hip Hop. Combination classes are offered for students who want to learn multiple styles (or check out the generous multi-class discount!) For preschool-kinder age participants, Midwest also offers classes that combine ballet and gymnastics for those still choosing which class is the right fit!